Amhuinnsuidhe is situated in a stunning and romantic seaside location with views to South Harris and the islands beyond. The Castle, built in Scottish Baronial style in 1865, lies in a sheltered bay overlooking the Atlantic. The name “Amhuinnsuidhe” is the gaelic for “sitting by the river”. Significant numbers of salmon and sea trout build up at the outflow of the Castle river which enters the sea next to Amhuinnsuide and their acrobats, easily visible from the Castle, are both a frustration and a delight for guests. Amhuinnsuidhe is acknowledged as one of the finest sporting estates in Scotland. 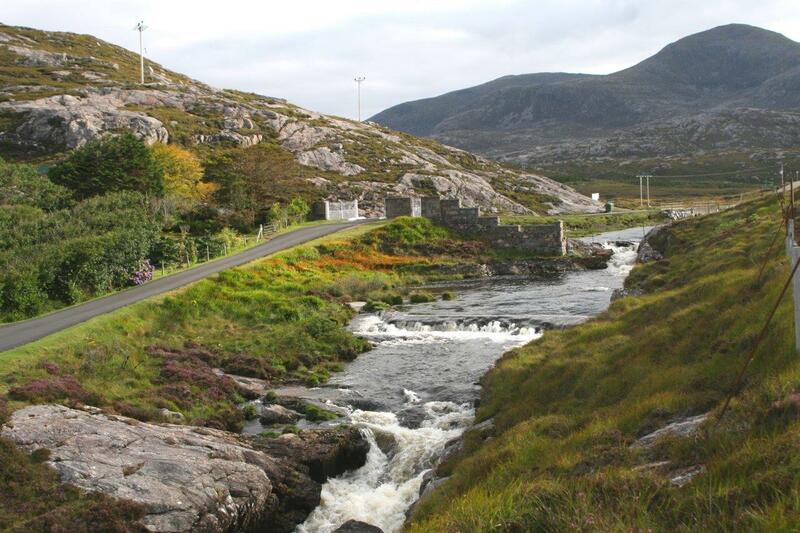 It has exclusive salmon and sea trout fishing on a number of river and loch systems and rugged stalking. 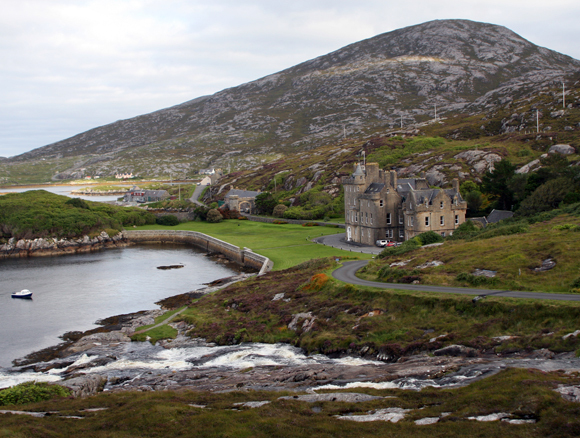 For the non fisher/shooter Harris offers truly spectacular scenery, beaches to rival any in the world, wildlife, and the historic castle itself. 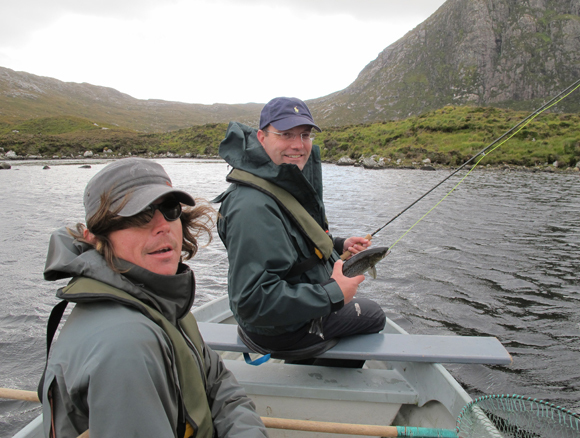 Amhuinnsuidhe Castle fishing’s have featured in many classic fishing books and on their day offer some of the finest loch salmon and sea trout fishing in the world. There is exclusive fishing on six river systems, which include nine freshwater lochs, the most famous being Voshimid, Scourst and Ulladale. Some of the loch’s are easily accessible by car whilst others require long walks over rough terrain. In short there is something to suit all levels of fitness and ability. 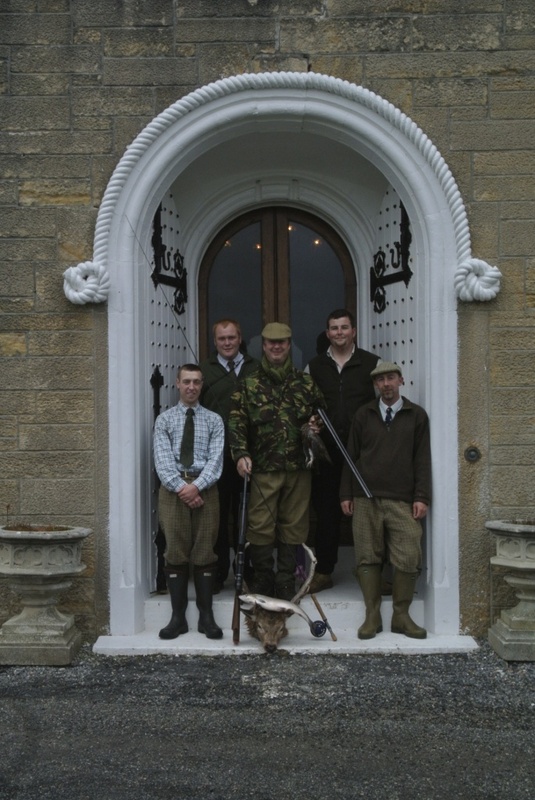 To assist there are five knowledgeable ghillies overseen by estate manager Innes Morrison. The bulk of the fishing is carried out from drifting boats although in a high wind tenants may prefer to fish the lochs from the bank. Generally 2 rods fish from each boat with a ghillie to control the drift. 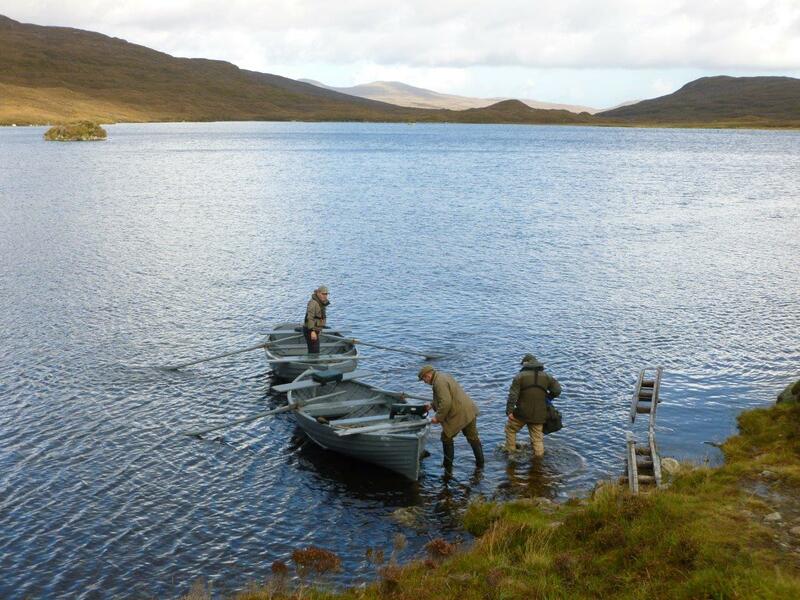 Loch fishing for migratory fish is a very visual and exciting pursuit. A relatively short line is cast and then the top dropper dibbled back to the boat. 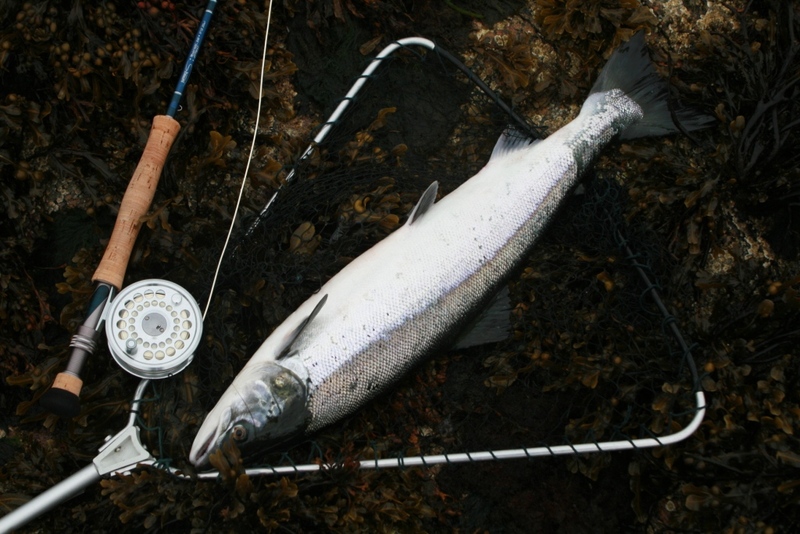 Sea trout generally take on the retrieve whilst salmon find the top dropper irresistible. The rivers and burns can be productive just after a spate and the sea pools before and after high tide. All fishing is by fly only, with the wet fly and the dap the most effective. 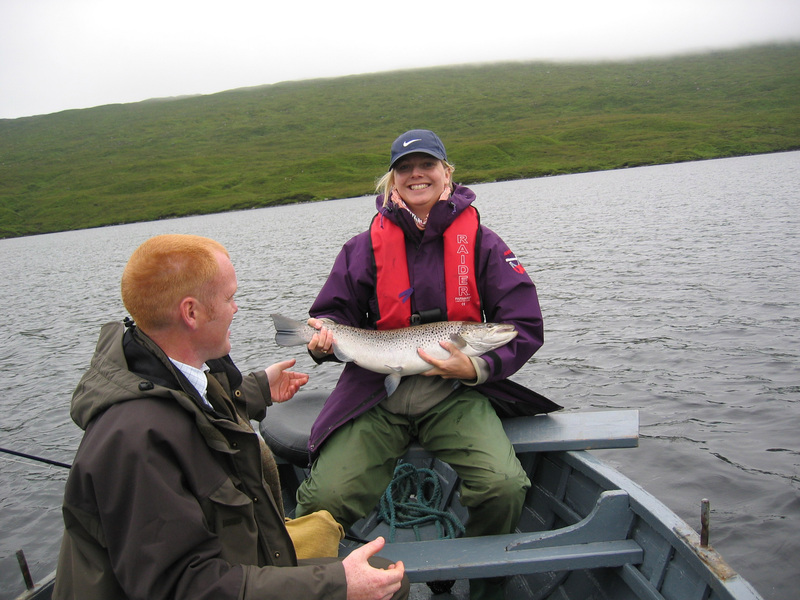 Hebridean salmon typically average from 5-8lbs, with sea trout reaching up to 7lbs. In 2012, despite the dry Spring, there was no shortage of fish, with a season’s total of 288 Salmon and 700 Sea trout, comfortably exceeding the five year average. 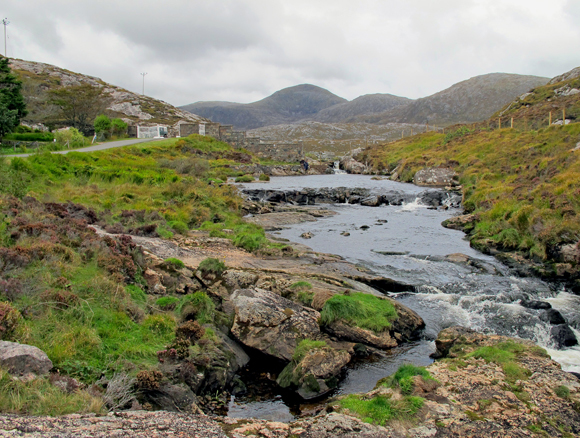 The deer forest is estimated to cover about 35,000 acres and this rugged part of North Harris with its deep Corries makes for exciting stalking. The overhanging cliff known as the “Amphitheatre Buttress” above Glen Ulladale is a particular feature. 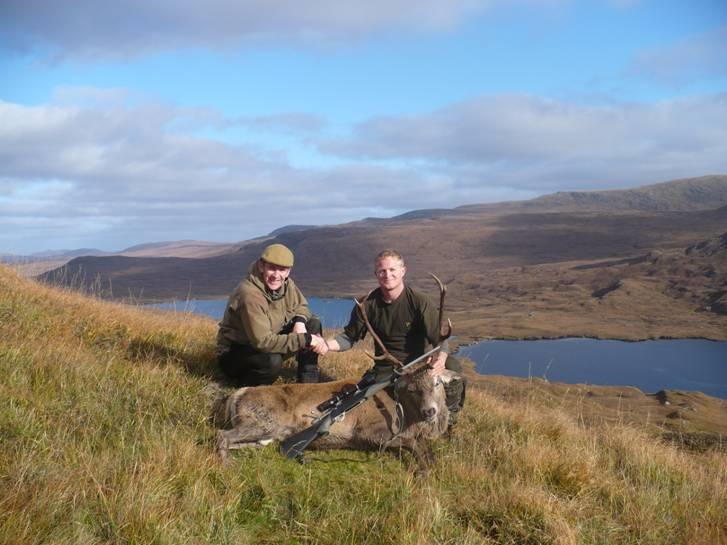 Stalking is available, for 2 rifles daily, during September and October. Some hind stalking may be available during the winter. Snipe and woodcock shooting can offer very exciting shooting. Numbers cannot be guaranteed and bird movements are governed by the phases of the moon and the prevalent weather. As such outings should be viewed as an additional extra during a mixed sporting week. Walked-up grouse shooting is also available, subject to numbers. 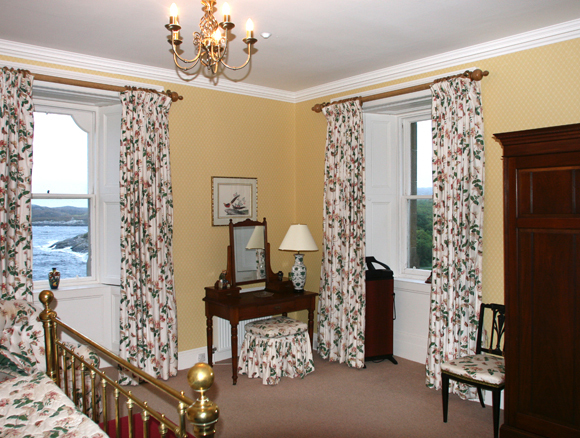 Guests may achieve an Amhuinnsuidhe MacNab! 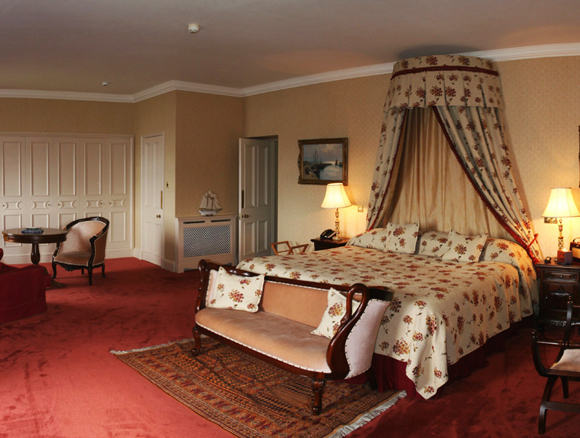 The Castle provides extremely comfortable accommodation for up to 18 guests in twelve bedrooms. These range from from highly private individual suites with walk in dressing areas, day beds and marble bathrooms through to single rooms. All bedrooms have their own bathroom. 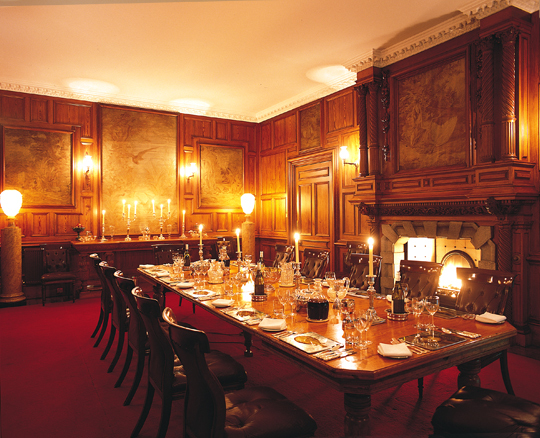 In addition, the Castle boasts a drawing room, panelled dining room, billiard room, rod room and well-equipped drying room. There is Wi-Fi and Vodaphone coverage and the the Castle has its own bar that operates through an honesty pad. Each year some sporting weeks are available to individual and smaller groups on a Dinner, Bed & Breakfast basis with a minimum of a 2 night stay. These weeks are a great way to experience both the castle and the fishing. Weekly lets are on a full board basis (excluding wines and spirits) with household staff.